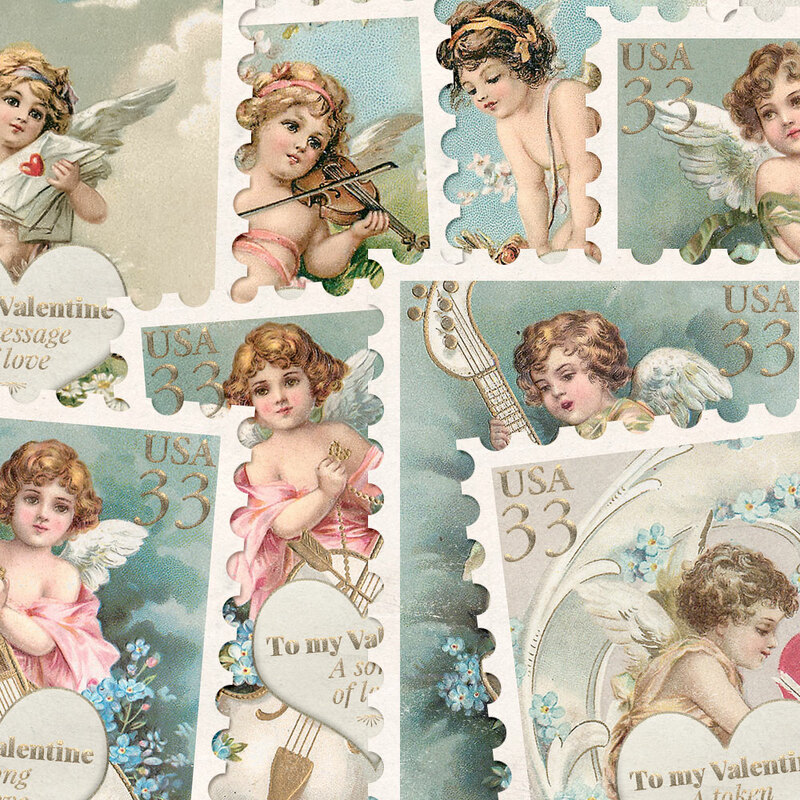 The nostalgic cupids on these printable postage stamps will win your heart in an instant. 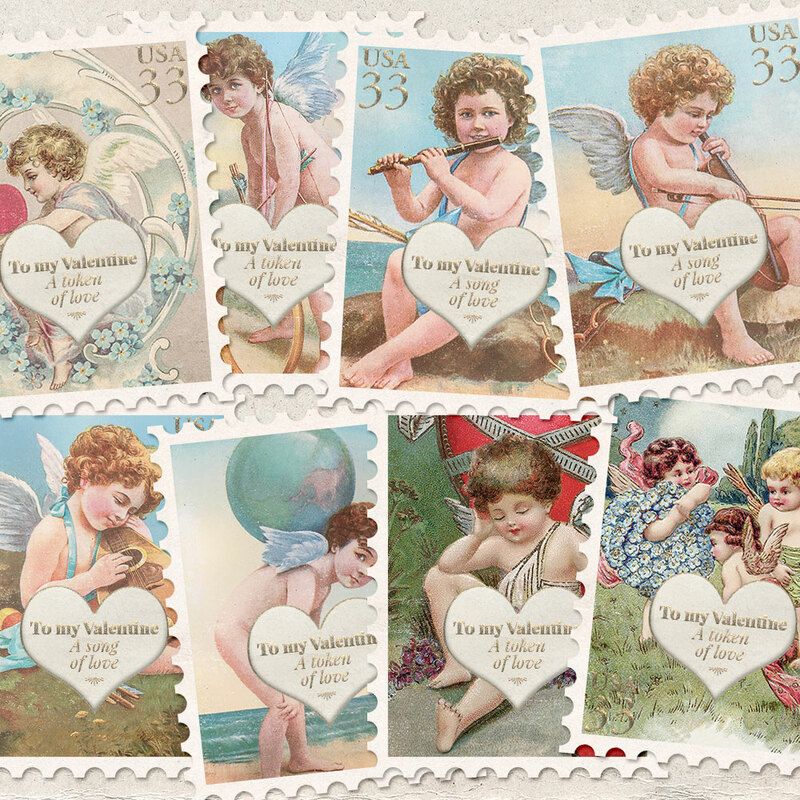 These stamps are perfect for your Valentine's Day projects, in art or junk journals or in any other (paper)craft project. Use them to decorate an envelope with a gift for a loved one. 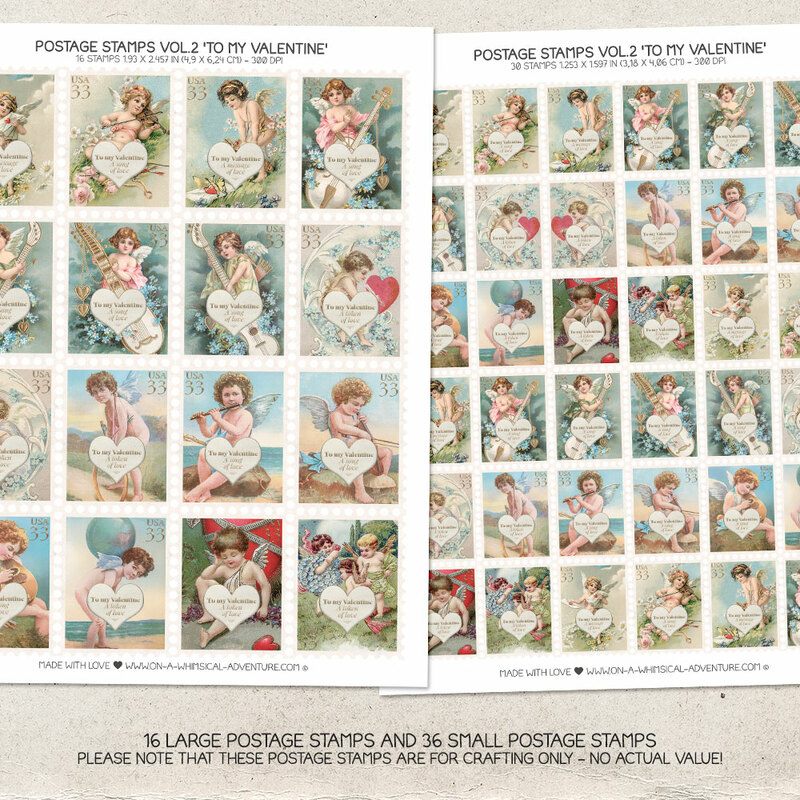 Each stamp comes in a large and small version. These stamps are for crafting only and have no actual value. 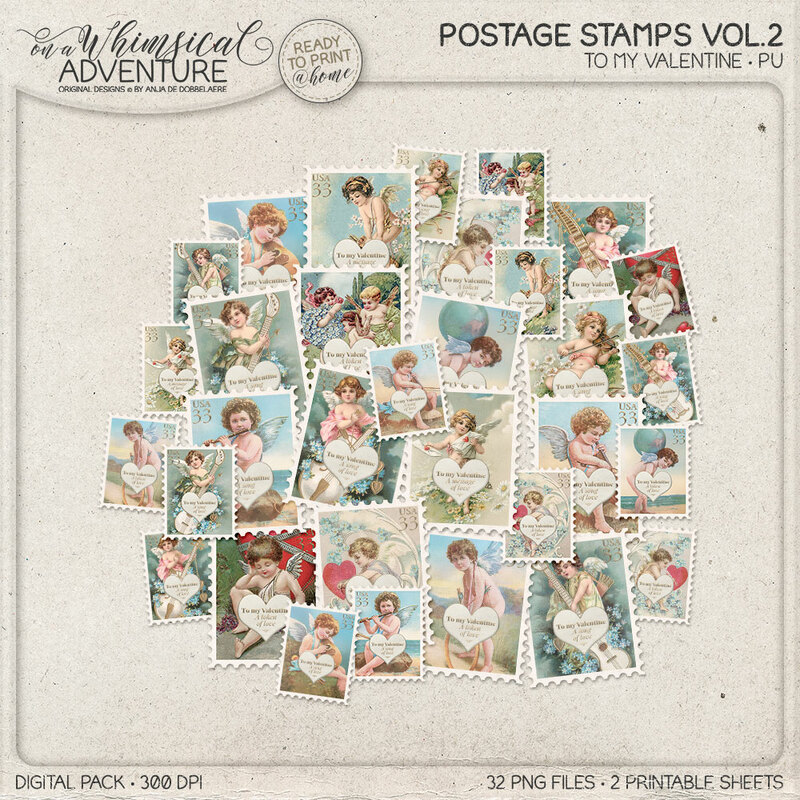 You will receive 16 stamps (PNG files) size 1.93 x 2.457 in or 4,9 x 6,24 cm and 16 stamps (PNG files) size 1.253 x 1.597 in or 3,18 x 4,06 cm, as well as 2 printable 8.5 x 11 in sheets in JPG and PDF. All files are 300 DPI.